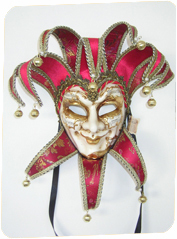 Venice Buys Venetian Masks is the sole distributor of La Maschera del Galeone Venetian masquerade masks in Venice, Italy in the United States and Canada. 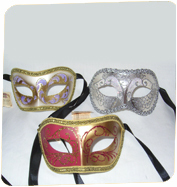 We carry over 25,000 masks in our inventory ready to fill your wholesale orders. We also sell Italian leather purses and Murano Glass jewelry. Wholesale prices start at a minimum of 50% off of retail prices and increases with the size of the order. Please refer to active inventory on our website for available masks. All wholesale customers require proof of business. We will assist you in any way possible to make your orders easy and profitable for your business. Please feel free to contact us at sales@venicebuysmasks.com or call us at (858) 735-1273. Please fill out and submit the form below, and we will contact you to discuss your needs. All information must be included.